We’re big fans of xkcd here at Gizmodo (who isn’t? 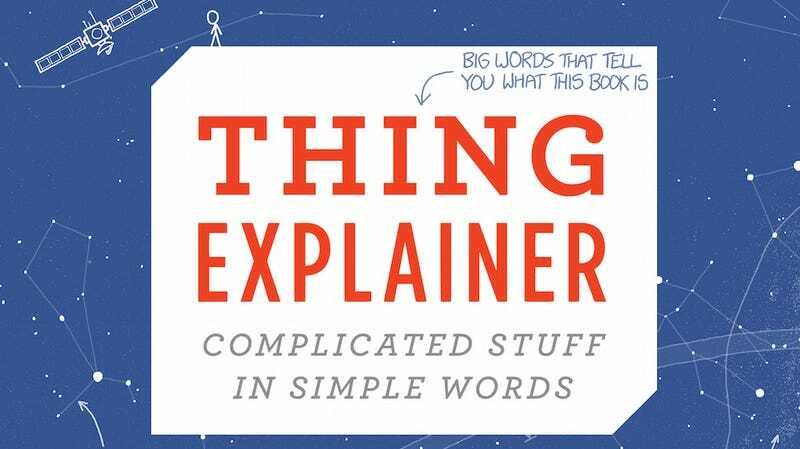 ), and also of learnin’ about things, so we’re pretty excited for Randall Munroe’s upcoming book of explainer drawings, THING EXPLAINER: Complicated Stuff in Simple Words. We’ve got a sneak peek for you, below. The book is a series of annotated blueprints that explain everything from ballpoint pens to the solar system using just line drawings and the thousand most common English words. THING Explainer comes out on November 24. Yes please.